Retail sales increased in 2017 by 10% compared to the previous year, a growth rhythm more than triple compared to the one registered in 2016. 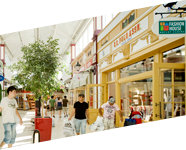 The conversion rate (percentage of visitors who buy within the shopping centre) reached 72% in 2017, after an increase of over 4% compared to previous year. Average spend per head increased by 8%. The start of 2018 was excellent for the commercial centre, with a 10% growth for the number of visitors and a 9.5% increase in retail sales in January. FASHION HOUSE Group, part of the Liebrecht & wood Group, registered its best results in the past seven years for FASHION HOUSE Outlet Centre Bucharest, the first and only professional outlet centre in Romania. The good performances were a direct result of the continuous improvement of the premium retail offer within the commercial centre, with eight new store openings and lease contracts signed. The business indicator with the best evolution in 2017 was retails sales, which increased by 10% compared to the previous year, an annual growth rhythm more than triple than the one registered in 2016. 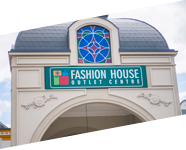 The continuous improvement of the premium retail offer within FASHION HOUSE Outlet Centre led to an increase of 4% for the conversion rate, which reached 72%, meaning that more than seven visitors of the commercial centre are actual buyers, a percentage significant higher compared to the average registered on the local retail market. At the same time, average spend per head increased by 8% versus 2016, while the overall footfall grew by two percent. 2017 was a year rich in new store openings within the first and only professional outlet centre in Romania. Thus, the year started with the inauguration of the Levi’s and Motor Jeans’s stores and continued with the openings of Casa Convenienza by Casa Magica, Solmar Outlet, Tina R and Exclusive VN. 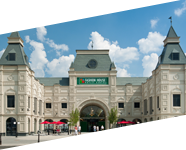 At the same time, the leasing process in FASHION HOUSE Outlet Centre Bucharest registered also a strong year, with several important brands added to the scheme, such as Koton and English Home. Also, in the immediate period, a store under the well-known high end American footwear, sports and casual apparel Under Armour will join the premium list of brand available in shopping centre. FASHION HOUSE Outlet Centre Bucharest opened in 2008 within West Park Retail, one of the most important shopping destinations in Bucharest, with several big box retailers, such as Kika (furniture and home decorations), Hornbach (DIY megastore with a garden centre) Proges (home decorations) and recently opened Jumbo (toys). Developed by FASHION HOUSE Group – part of the Liebrecht & wooD Group, FASHION HOUSE Outlet Centre Bucharest includes premium brands such as: Puma, Adidas, Koton, US Polo, Champion, Stefanel, Collective, Mango, Kenvelo, Tom Tailor, Benvenuti, Il Passo, Ecco, Santa Barbara, Camel Active, Reebok, Diesel, Lee Cooper, Guess, Mustang Jeans, Napoleoni, TED’s Coffee, Lacoste & Gant, Desigual, Triumph, Levi’s, Motor Jeans, Casa Convenienza and many others. 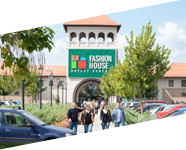 FASHION HOUSE Outlet Centre Bucharest offers 30% to 70% discounts all-year-round on all branded fashion items present in the commercial centre.